For this week’s old and rare tasting Angus MacRaild takes an olfactory trip to Japan and encounters two rather extreme ends of the country’s quality scale in the process. While it’s well known that many of Japan’s whiskies can be spectacular, there is also an ocean of obscure products labelled as ‘Japanese whisky’, which are anything but. 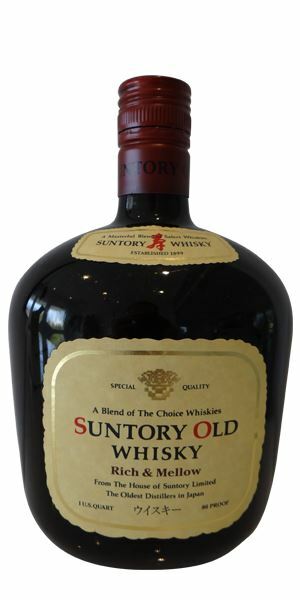 As MacRaild recalls – somewhat painfully – with a ‘rough, raw’ Suntory Old Whisky bottling from the 1990s, Japan’s whisky regulations allow for the addition of whiskies from other countries to be used in a blend. Often whiskies or young spirits that come from Scotland, the US, Canada and any number of other countries, can be used without declaration in bottlings such as this. 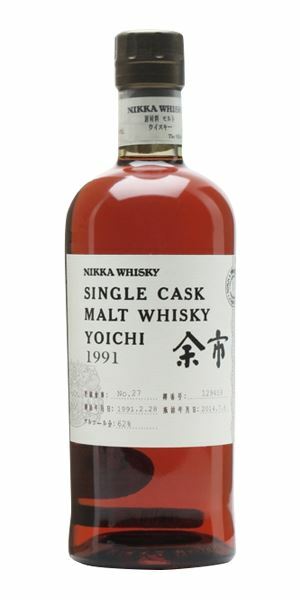 Thankfully the very best of Japan is on show in a pair of aged, single cask Yoichis. The first of which is an official bottling from Cask #129459, distilled in 1991 and bottled in 2014, which delights MacRaild with its spicy, medicinal muscle and intensity. 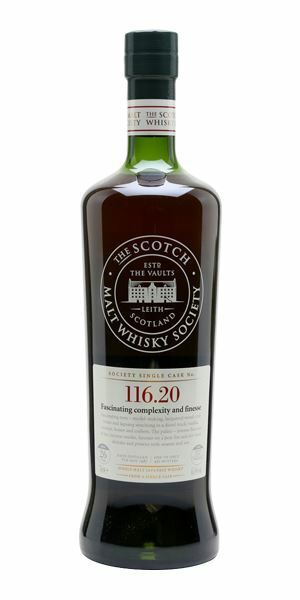 The second is a 26-year-old, 1987 vintage from the Scotch Malt Whisky Society (SMWS), which has been matured, unusually, in a virgin oak puncheon. It’s something MacRaild notes that few distillates would have the character and stamina to withstand for so many years, however in this instance the Yoichi identity emerges not only victorious but ‘fascinating’ and in compelling form. Slightly acrid. A sense of dust co-mingling with molten plastic. Slowly a few notes of cider apple, yeast and starched fabric begin to unfurl. There’s also some frankly troublesome notes of cold porridge and sour milk. A mountain of crushed aspirin and carbon paper don’t particularly help things either. Tricky and tiring stuff. Sour grains in cold vegetable Cup A Soup. Old chip oil, mashed potatoes, Pritt Stick glue, a few copper coins and flat tonic water. Gah! This is plain unpleasant. Raw, hot, unpleasantly yeasty, acrid, burnt hair and cheap grain spirit, although mercifully short. More rancid milkiness in the aftertaste. Getting up in the middle of the night to unclog a particularly stubborn drain. Pure Yoichi! A warm and generous wealth of polished, precious hardwoods, beeswax, hot smoked paprika, numerous dried herbs, throat lozenges, orange bitters and this remarkable fusion of candle wax and hessian sack cloth. A few smouldering pine cones, ointments and medical tinctures and a scattering of rice firecrackers. Intense, pure, powerful and totally compelling. Possesses this underlying, muscular yet sleepy peatiness that is so typical of Yoichi in my book. A rivulet of water breaks out an autolytic aspect like sourdough starter and warm rye bread. Compelling and brilliantly complex stuff. Ancient yellow Chartreuse, smoked rosemary, sandalwood, pine oil, botrytis and many medical aspects such as lanolin, talcum powder and a touch of TCP. Goes down dangerously easy at full strength. With a touch of water it’s all on wood spice, blood orange, lean tannins and bitter chocolate. More herbal intensity: Unicum and green Chartreuse, cola cubes, pomegranate molasses and aged game meats. Superbly long, meaty, spicy and still with that compellingly evasive peatiness and lingering medicinal quality. 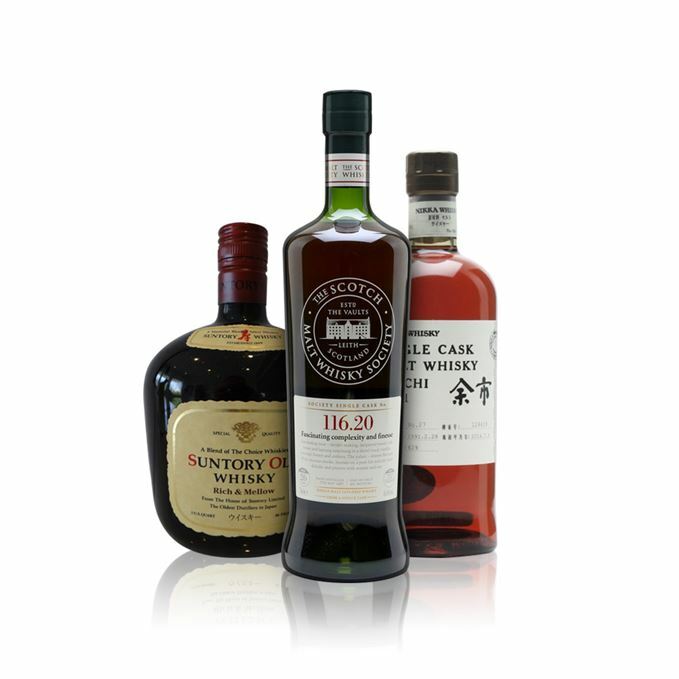 When you taste these sorts of whiskies you can really understand what drove the world mad about Japanese whisky. When it’s at its best it’s remarkable stuff. This displays the same ‘polished’ character as the ‘91, however the virgin oak here makes itself felt with a more aromatic sandalwood quality. Lots of potpourri, five spice and bananas baked in brown sugar. Indeed, there’s a pervasive caramel sweetness about the whole thing. Quite a few assorted fruit jams and a little quince paste. Not as thrilling as the ‘91 but still pretty special. Water brings baked apples, marzipan, mulling spices and a neat wee sooty and bready combination. Punchier than the ‘91 despite a notch lower strength. Lots of wood char, chilli powder and pencil shavings. I feel the virgin oak is fighting with the distillate a little rather than working in harmony, although it’s testament to Yoichi that the distillery character is winning hands down. Light medicine, peppery biltong, salami and some black olive paste. Also many dried herbs – a green Chartreuse this time perhaps? Dilution and we get lots of pu-erh tea, a dense, drying earthiness, freshly milled black pepper and even a stray anchovy lurking somewhere in the depths. Resinous, punchy and complicated stuff. Long, more towards greener teas, fresher herbal qualities and a lingering soft sootiness. Still retaining this emblematic spicy/subtle peat Yoichi flair. A fascinating and I’d say rather unique example of where virgin oak has lasted the course in tandem with the distillate and not totally crushed or lopsided things. And that coming from someone who is not normally a big fan of ‘wood forward’ drams. Thankfully, this remains very much a Yoichi. It’s not quite up to the same standard as the official 1991 but it’s pretty stonking stuff. Returning at 3am on a Friday morning, you stick on some Tom Baker-era Doctor Who and delude yourself into thinking you can handle one of these as a nightcap. Rare Batch 42 03/07/2018 A high-octane tasting of Auld Niblick, Macallan ‘As We Get It’ and MacPhail’s Pure Malt. Rare Batch 40 06/06/2018 Three more affordable old bottlings: a mysterious malt, a rare Inverleven and a thumping Lagavulin.